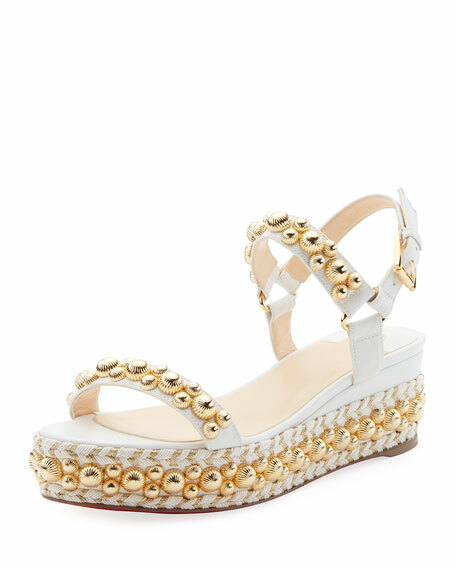 Christian Louboutin napa leather sandal with fluted studs. 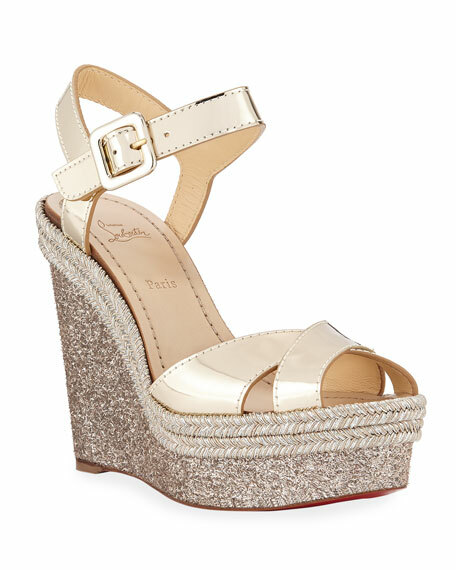 2.4" wedge heel with braided and studded platform. "Rondaclou" is made in Italy. For in-store inquiries, use sku #2498235. 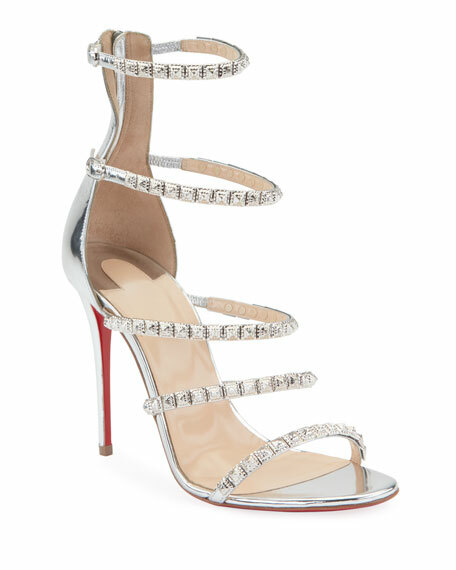 Christian Louboutin "Forever Girls" sandal in laminated metallic leather. 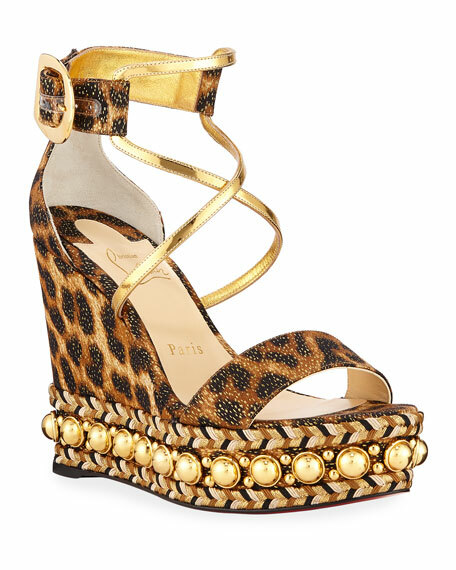 Embellished with engraved studs throughout. 4" covered stiletto heel. Elastic insets for fit. Easy back zip. 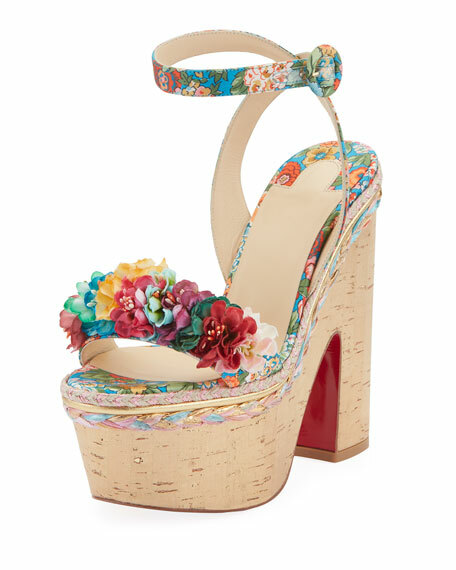 Signature Louboutin red leather sole.